Jose Luis Palomino and Atalanta will try to pass AC Milan in the Serie A table when they play them at Atleti Azzurri d'Italia on Saturday. 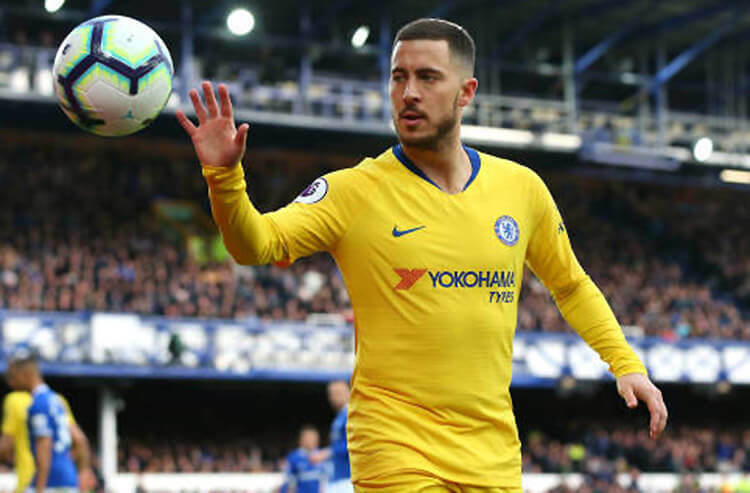 With the English Premier League taking the weekend off, the eyes of the betting world will be on the other major European domestic soccer leagues. 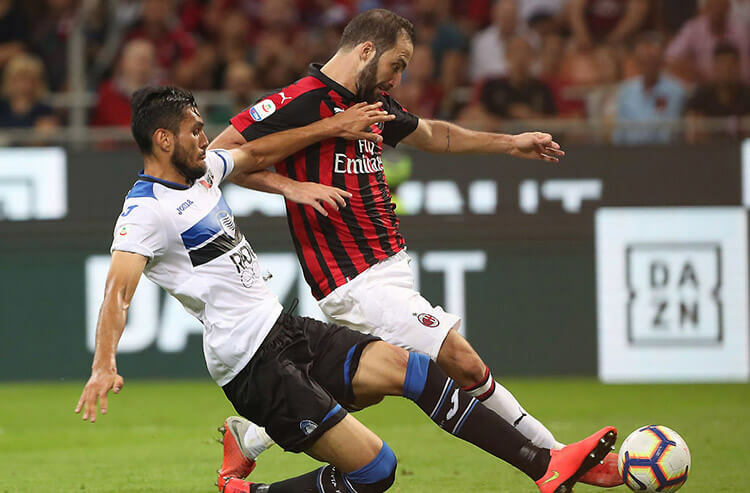 Atalanta hosts AC Milan who sit one point ahead of them in the Serie A Table, while Lille takes on Montpellier in Ligue 1 play as we break down the best bets for this weekend's footy action to help you make the best wagers. Atalanta look to continue their red-hot run against visiting AC Milan on Saturday. Atalanta (+100) have climbed all the way to sixth in the table – good for a Europa League berth if they can stay there – thanks to an eight-game unbeaten streak (6-0-2) during which they have scored 24 goals while conceding just eight. AC Milan (+290) sit just one point ahead of Atalanta, and have allowed just one goal in their previous five league matches. The odds are still very much against Real Madrid unseating Barcelona for the La Liga championship – but those odds are shrinking by the game as Real carry a five-game domestic winning streak into a weekend encounter with Girona. The second-place outfit in the Spanish League table have gained four points on Barca over their previous two games, and are whopping -600 favorites to extend their dominance beyond the weekend. Visiting Girona (+1,400) sit 16th in the table and have dropped each of their previous four league matches; they've also surrendered 17 goals in their past four meetings with Real Madrid. A poor run in league play has Eintracht Frankfurt on the precipice of slipping out of the top-five, and rebounding this week could prove difficult as they welcome third-place Borussia Monchengladbach to Commerzbank-Arena on Sunday. Frankfurt are slim +130 faves in this one despite having won just one of their last six league matches. But they might be catching Monchengladbach (+200) at the right time, as the North Rhine-Westphalia-based team is coming off a stunning 3-0 home rout at the hands of Hertha Berlin. Monchengladbach prevailed 3-1 in the previous meeting between the teams on Sept. 26. Lille have emerged as the hottest team in the French League, riding a five-game winning streak into Sunday's tilt with visiting Montpellier. Lille (+100) have risen to second place in the Ligue 1 table, though they remain a full 10 points back of powerhouse Paris Saint-Germain. They'll look to extend a stretch of stinginess that has seen them post three clean sheets in their previous five games across all competitions. Montpellier (+320) have drawn four of their previous five matches and have played Lille tough in recent meetings, with a win, a loss and a draw in their past three encounters. "One point at a time" has been the motto for SPAL 2013, at least as it pertains to their recent home matches. The 14th-place club in Serie A competition have settled for a draw in each of their previous six league games at Stadio Paolo Mazza entering Sunday's tilt with visiting Fiorentina. A seventh straight home tie is valued at +210. If you're going to take a shot on a scoreless draw this weekend, Torino's Italian League tilt with host Napoli might be your best option. Torino have drawn five of their last six away matches in league play while Napoli have held opponents without a goal in each of their last three matches. The 0-0 tie in this one is priced at a tempting +1,100. Getafe continue to buck the prevailing domestic goal trend entering Friday's La Liga encounter with host Eibar. 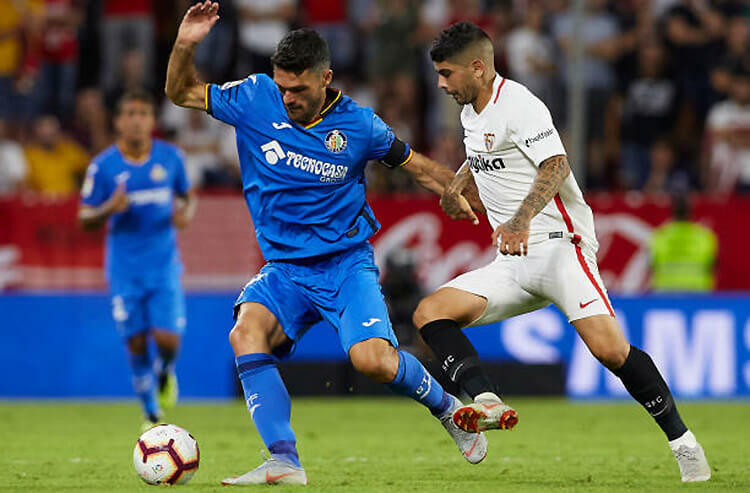 Getafe have allowed the second-fewest goals in the league, and have seen fewer than 2.5 goals scored in 13 of their previous 15 road matches in league play. The standard Under is at -175, with the Under-1.5 play set at +175. It's one thing to dominate a head-to-head series – it's another altogether to do what Celta Vigo have done against Levante. The Spanish League rivals square off at Estadio Municipal de Balaídos this weekend with Celta Vigo having completed the half-time/full-time double in five straight matches vs. Levante. A Celta Vigo-Celta-Vigo play this weekend is worth +175. This week's top double recommendation comes courtesy of Saturday's Bundesliga showdown between host Wolfsburg and Mainz. Wolfsburg have been drawing at both half time and full time in their last six matches against Mainz in all competitions, while the teams have cashed the Under in eight straight. The draw-Under play is a strong option at +400. RB Leipzig have been difficult to score against lately, and they're a good bet to keep that run going as they visit Stuttgart in German League action Saturday. Leipzig have posted a clean sheet in three consecutive meetings with Stuttgart, and three straight Bundesliga games overall. They're +162 to extend Stuttgart's goalless run over the weekend. Second halves have been a significant problem for Caen heading into Sunday's Ligue 1 home date with Strasbourg. Caen have been drawing at half time and losing at full time in four consecutive league matches, dropping them all the way to 19th in the 20-team French League. A draw-Strasbourg half-time/full-time result pays out at +450. Don't expect Paris Saint-Germain to concede any ground in the Ligue 1 standings this weekend, even with fourth-place Saint-Etienne playing host. PSG have 10 victories and two draws in the previous 12 meetings dating back to 2015, and have outscored Saint-Etienne 30-5 over that span. PSG -2 offers +350 odds, while the visitors -3 is a tasty +800. There's no telling what kind of shape Bundesliga leaders Borussia Dortmund will be in for Monday's visit to Nuernberg. Marco Reus was the most notable of a handful of players to sit out Dortmund's 3-0 Champions League setback at Tottenham earlier this week with an ailment. But Dortmund are still overwhelming -250 favorites against Nuernberg (+650).